(1:05 p.m. EDT) -- Looking for a unique way to preserve your cruise memories? 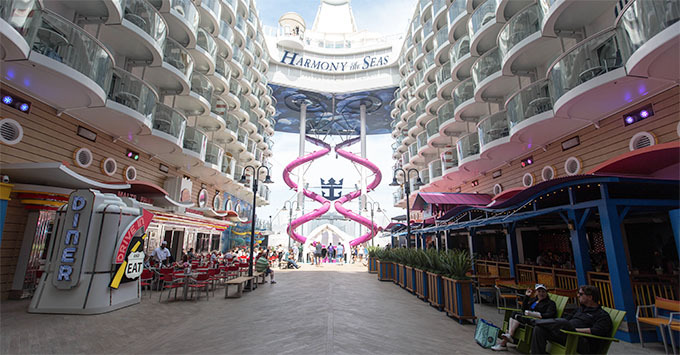 Royal Caribbean has launched a new video-generator tool that turns photos into short video clips, combined with music and artistic elements tailored to the "emotion" of the photos. The emotion is detected by artificial intelligence (AI), which analyzes the photos' colors, landscapes, backdrops, facial expressions and body languages. The AI then creates original soundtracks and graphics (such as kaleidoscope-like transitions) to bring the photos to life in the form of a roughly 15-second video. "People of all ages crave new ways to share their best experiences on social media. This unprecedented tool allows you to put a completely unique, multisensory spin on sharing those memories -- now friends and followers can see and hear your life's adventures." To create a video, all cruisers have to do is visit SoundSeeker.com, upload three photos of their choice -- either by connecting to Instagram or Facebook, or uploading their own -- and hitting the publish button. Users will then have the option to share their videos directly to Instagram or Facebook, and are encouraged to tag their creations with #SoundSeeker. The tool is free to use. Learn more about the line's other recent innovations and on which ships you can find them.